If I said meatballs to you what would you think? 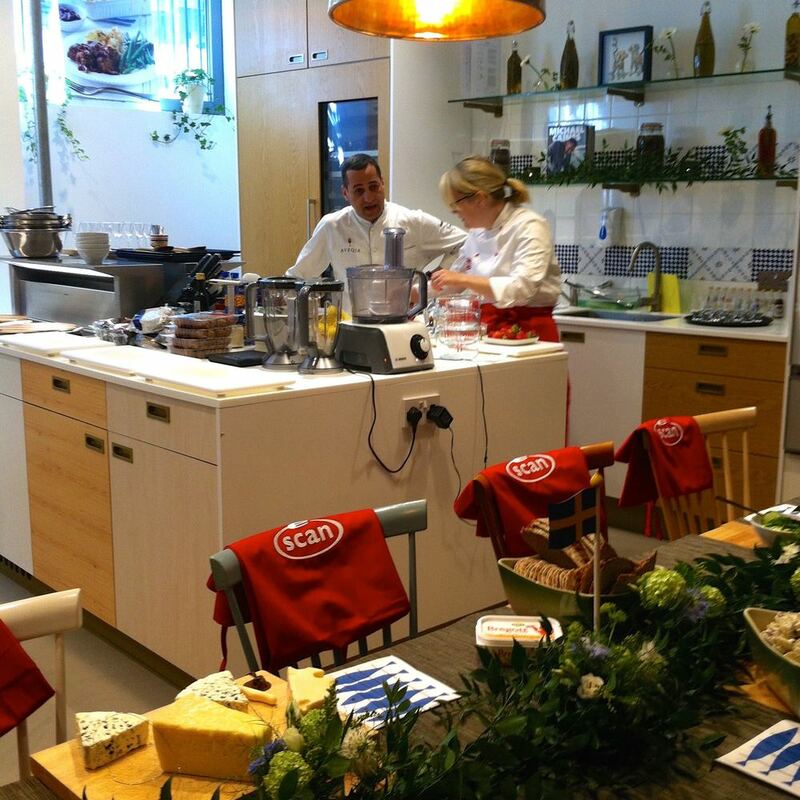 It might be the cafe at Ikea, which like one friend makes the visit there bearable, or you might imagine them in tomato sauce on a bed of spaghetti, or perhaps you think I'd lost it. Either way it's likely that you wouldn't be thinking of a Swedish Midsummer party, because generally here in the UK it's not something we celebrate. 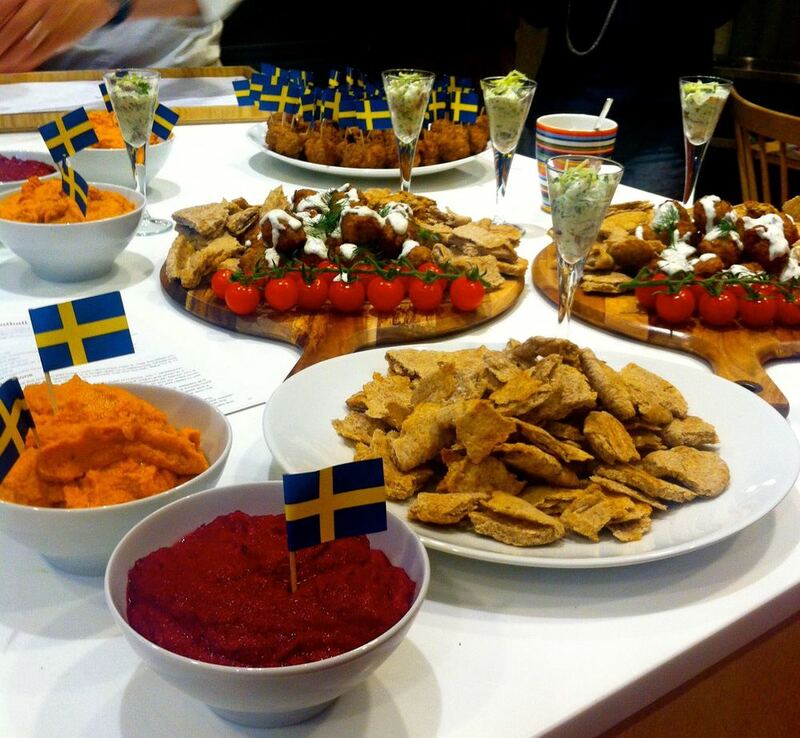 So when the people at Scan Meatballs invited me to see how the Swedes celebrate Midsummer, I was keen to find out more. 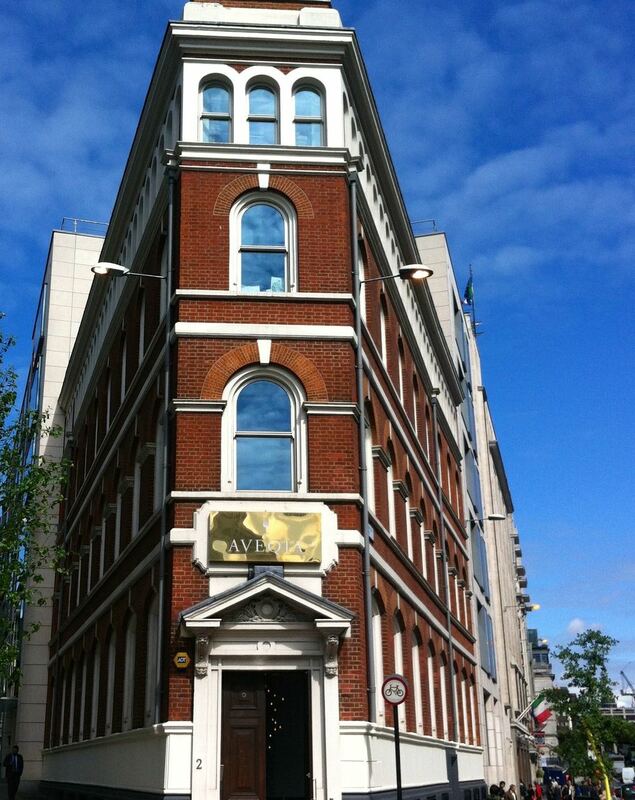 I arrived at Aveqia in central London on a sunny day in the middle of May ready to discover how the Swedes celebrate. Midsummer's Day is 21 June and the holiday in Sweden is always the Friday nearest to the summer solstice, so ensuring there's always a long weekend and plenty of time to celebrate what is probably their biggest holiday. It's definitely as big as Christmas, with the build up we're so familiar with here and families planning their menu's in advance. The holiday is thought to pre-date Christianity has the feel of legends, mystery, paganism and well wishing. It celebrates the start of Summer and given that often at Christmas it's -10 and dark it's no wonder the Swedes embrace summer and the light it brings. The celebrations vary, but are often community based and there's often a Maypole which is decorated with flowers. Flower garlands are traditional and they're worn by both the men and the women - and no one spends Midsummer in the city. After lunch there'll be cake, and a snooze - it's sounding familiar isn't it? In the evening there'll probably be a barbecue and then it'll be back to the park to hear the live band. And the sun doesn't set. I'll admit my knowledge of Sweden up till then was pretty limited; I'd once toyed with the idea of visiting Stockholm but never quite made it there. The closest I've got is a few days in Helsinki as part of our Baltic holiday probably about ten years ago, where we also visited St Petersburg and Tallinn. Oh, and growing up a love of Abba! 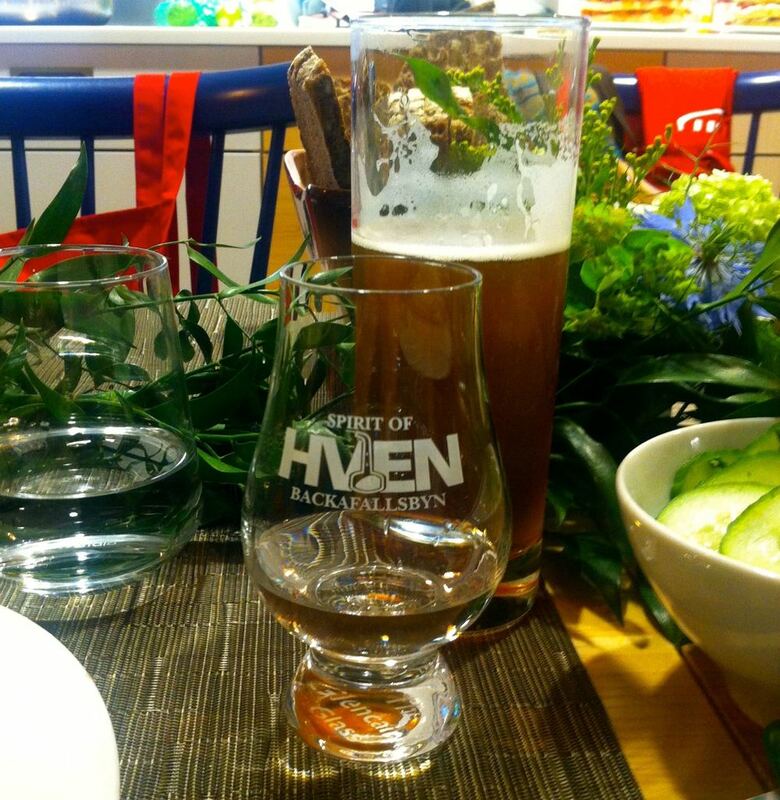 The day involved cooking your own lunch and we split into two teams to prepare a meatball smorgasbord platter with dips, a herring and apple starter, meatballs with lingonberry sauce and a potato gratin with anchovies. 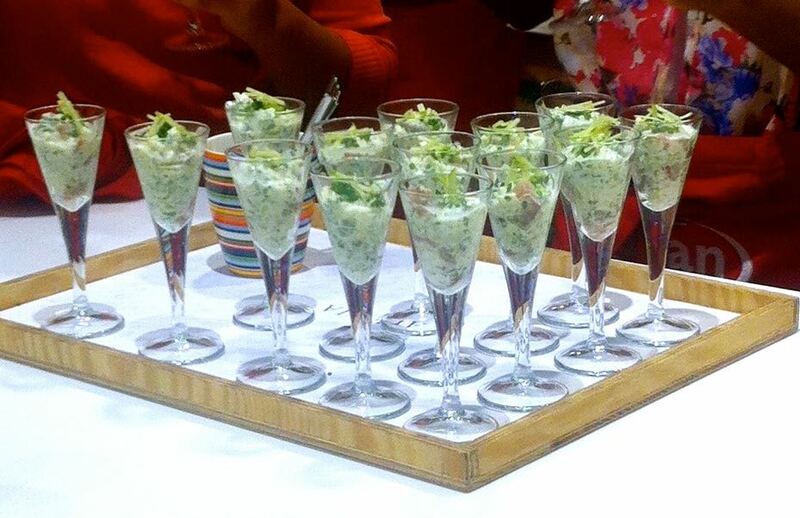 Meanwhile the other team had been preparing the smorgasbord (or buffet) of beautifully presented herring and apple cocktails, a beetroot and dill dip, a red pepper hummus and a yogurt and dill sauce and of course meatballs. As well as preparing lunch we also made some beautiful flower garlands, but more on that later this week. 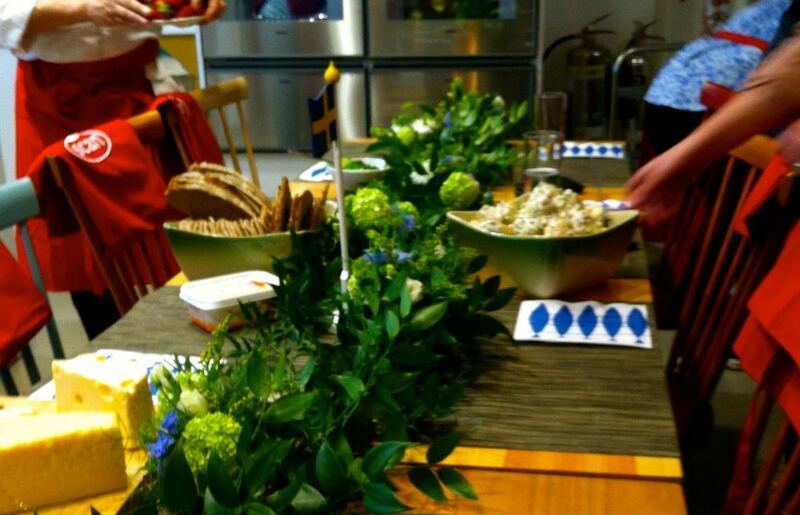 I had a fun afternoon learning more about and experiencing a Swedish Midsummer party - but thankfully no Maypole dancing, I last did that when I was in the Brownies! 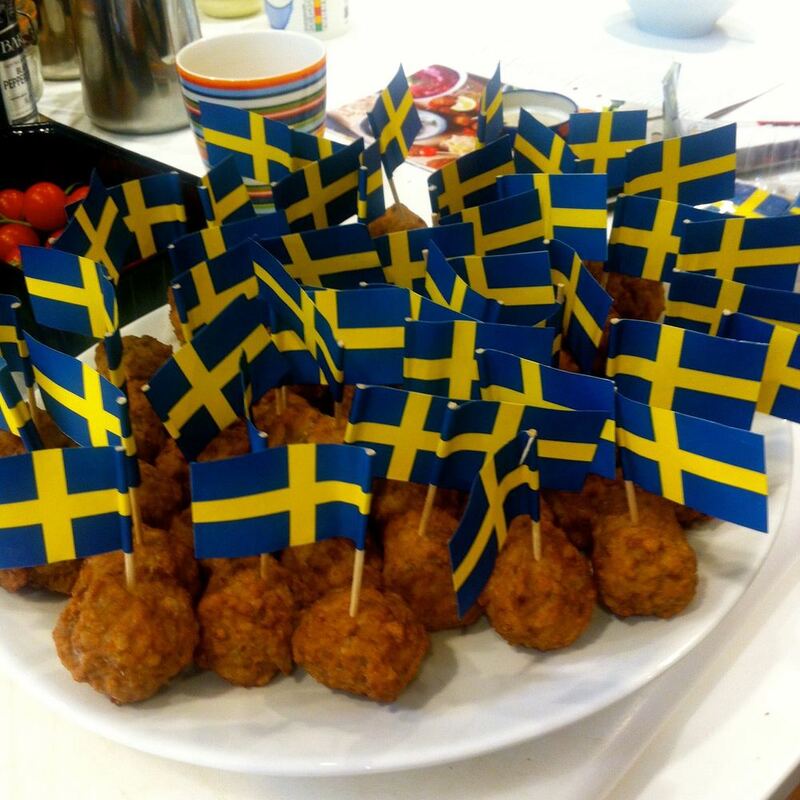 The meatballs were tasty and we'll be eating them again, and you never know I may actually make that trip to Stockholm at some point too! There's a range of recipes on the Scan Meatball site so if you fancy cooking something different with your meatballs, go take a look.